Go around the city in our stylish and luxurious party bus. Our party bus rental service in Arizona is the perfect and the stylish way to attend your event. Party bus is our specialty, and we are committed to providing the best services to both corporate and leisure guests. Our party buses are registered and licensed. They are chauffeured by some of the best chauffeurs in the city. They are all well trained professionals, who practice safe and defensive driving. We follow a regular maintenance schedule for our vehicles. 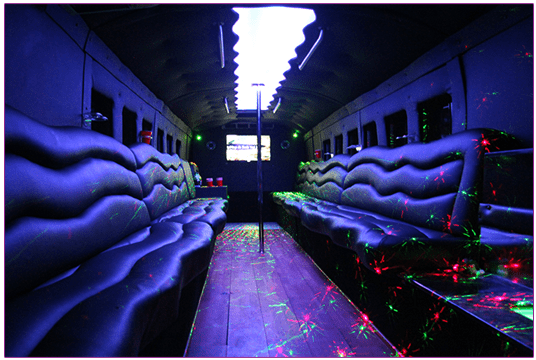 You can select one of our party buses below for your party transportation needs.